As a business owner or manager, you’re always busy. Your time is valuable and it probably always feels like you don’t have enough time to mark off all the things on your to-do list. 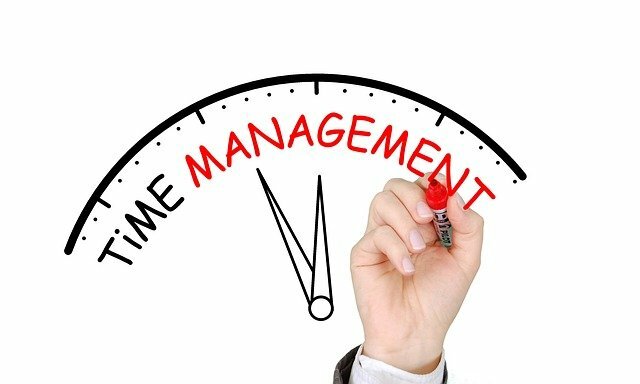 No matter how excellent you are at managing other people, it’s always a challenge to properly manage your own time. But there are some things that you can do to make the best possible use of your time, without completely overhauling the way that you already operate. Here are a few tips you can incorporate into your daily life, to get the most out of your waking hours. One of the biggest time wasters in your day may simply be your drive to the bank or your time spent double checking whether or not you paid that credit card bill. Whenever possible, take in-person tasks online, and make online tasks automated. This will save you the time of physically traipsing around town, and the time of worrying about whether or not you already accomplished some task. For instance, while you previously may have applied for loans in person, there are now easy ways for you to apply for small loans online. This will save you driving time, and the time that it takes to wait in line at a bank or other loan center. Further, you can automate tasks that you already accomplish online, such as monthly bill payment. Take one more item off your to-do list by setting your credit card bill to be automatically paid on a certain date every month, and save yourself from worry in the process. Although multitasking may seem like the way to get more done in a shorter time period, research has shown that it actually slows you down. Instead, focus on accomplishing one task at a time, and you’ll find that you save time in the long run. This is because multitasking splits your focus and makes it difficult for you to accomplish anything at all — you may accomplish two tasks in one hour, when you could have completed each task individually in 20 minutes. Save yourself some time and focus on each objective in turn. As a bonus, you’ll likely find that the quality of your work also improves when your attention is undivided. Another counterintuitive way to save time in the long run is to block out personal time for yourself every day. If you work every hour of every day — even if you’re just checking email during dinner or browsing through reports in bed — you’ll begin to feel constantly stressed and, eventually, burnt out. You aren’t a robot, which means that you need time to unwind, relax, and think about something other than work. Block out regular time so that you can exercise and socialize without having work stresses still on the forefront of your mind. You’ll soon find that this practice makes you productive when you are at work — and it might even help to break you out of a creative rut or a writer’s block that you would never have been able to just work straight through. 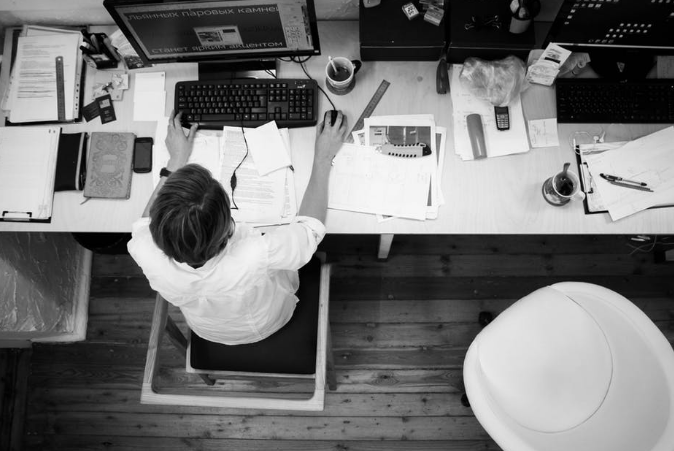 In an 8-hour workday, the average office worker is only productive for about 3 hours, according to a recent study. Yet companies pay for every second they spend at their desks. It is thus important for businesses to bring out the full potential of their employees. Here are five productivity tips that can help businesses do just that. Businesses should measure the performance of their employees every now and then. Doing so allows them to know exactly how the employees are performing and whether they need to improve. Measuring performance does not necessarily mean going through the quarterly performance reviews of each employee. Simple things like punctuality, timely completion of projects, personal habits, attitude, personal presentation, client feedback, and random checks can tell a lot about the performance of an employee. When setting the performance standards for employees and measuring them, managers should know the current state of their business and set rules and expectations in advance. For instance, if an employee spends three hours on office applications and emails and two hours on personal sites, his actions may be considered not productive. 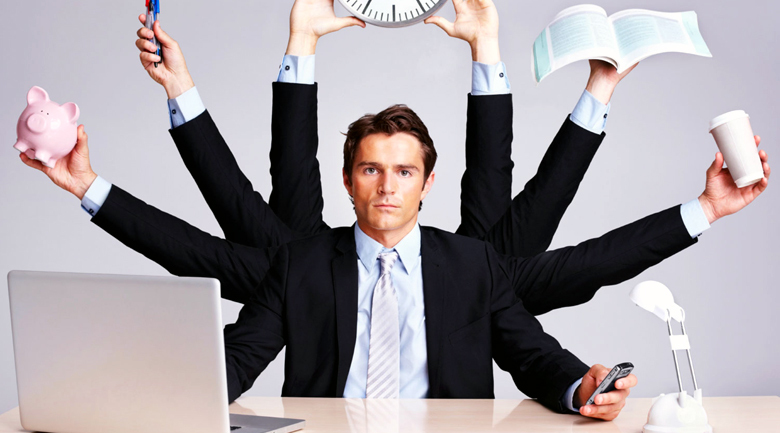 If he spends one hour on personal sites and the rest on office work, he may be considered fairly productive. Above all, businesses should have regular check-ins to see if everyone is on track regarding the goals set. Businesses should know their employees better. This is very important because employees often struggle with personal problems such as drug abuse, domestic violence, or financial crises. Such problems can take a toll on their productivity at work, making the business to suffer in the process. Earlier intervention can save the employee and increase the overall productivity of the business. For instance, if an employee is severely underperforming, business managers can hold drug tests like marijuana testing to check if their performance has been affected by particular substances. After that, the proper course of action can be determined from there. Businesses need to relax on internet restrictions, especially for social media platforms. There are a lot potential that might remain unexploited if the employees are unable to access these sites and interact with prospective customers. Businesses should allow employees to market freely on social media and keep up-to-date with the latest moves from the competitors. Business managers should provide feedback in a constructive way on a regular basis. The feedback should be encouraging, not disheartening. An encouraging feedback does not mean there must be a positive message. The message can be negative, but the communication should be done in a carefully calculated and thoughtful manner. It shouldn’t make the employee to feel bad about himself, but rather it should give him the motivation and desire to do better next time. Employee productivity forms the foundation on which a company achieves success and prosperity. Companies should ensure they provide constructive feedback, allow social media access, and measure performance regularly in order to keep their employees productive at work. When we think about charitable organisations, we always consider their purpose and the people that they aspire to help on a daily basis. As they are not businesses, however, we often overlook the fact that they need to generate money in order to fund their endeavours, raise awareness and affect lives across the globe. More specifically, there are considerable gaps in knowledge regarding the challenges facing charities and the ways in which they leverage the money that has been entrusted to them. So while the UK’s charity sector is worth a staggering £60 billion each year, many nonprofits struggle to deploy this money in a way that drives productivity and promotes their message. The nonprofit sector is notoriously complex and constantly changing, particularly in terms of compliance and the need for transparent financial management practices. These skills usually come at a cost, however, while it can be difficult to source service providers with the necessary expertise to deal with charitable organisations. Fortunately, outlets such as Just Accountants have a team of accountants who are well-versed in the needs of nonprofit organisations, from the cultivation of a viable infrastructure to the deployment and everyday management of funds. This will not only drive transparency and compliance, but it will also optimise productivity and ensure that as much money as possible is committed to an underlying cause. Unfortunately, the vast majority of charitable communications were historically sent by letter, which incurred numerous administration costs in terms of creation and distribution. This instantly deterred potential contributors, many of whom were unsure as to how much of their money would be used by the organisation to cover their costs. Thankfully, the adaptation of email and more recently social media has enabled proactive charities to negate this issue, primarily by using the global reach of channels such as Facebook and Twitter to inspire, engage and raise awareness. These flexible and freely accessible channels help nonprofits to reduce operational costs without compromising on their message, ensuring that they can raise huge sums of money and reinvest this into their chosen cause. Aside from the power and reach of technology, the typical nonprofit organisation is only ever as effective as the people who represent it. 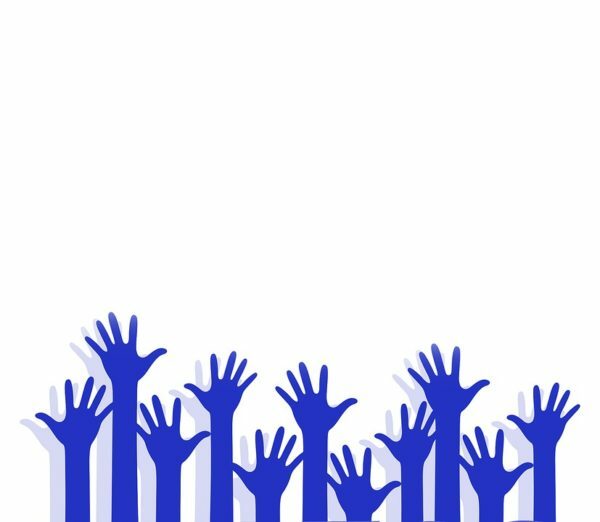 These individuals must be strongly motivated and engaged with the cause if they are to help the charity to achieve its goals, but nonprofits lack the financial resources or infrastructure to pay the individuals who work for them. Charities must therefore learn invaluable lessons from the worlds of business and commerce, where financial incentives have gradually become less impactful over time. Instead, modern employees are motivated by job security and the ability to add value to a business, as this delivers greater satisfaction and more tangible rewards. Charities must therefore ensure that their volunteers do not become mired in everyday administration and nonprofit bureaucracy, as they instead empower them as influential advocates of a powerful and impactful message. Getting the most from an ERP system requires two areas of focus: picking the right ERP provider and implementing their services properly (carefully). Neglecting one in favor of the other will limit the impact your ERP has on your organization and expose you to risks and vulnerabilities you wished you avoided. Consider Specialized Support – An ERP implementation can be a long and complex process. If you have a limited in-house tech team or have never undergone a major revision to your IT, you might find the implementation process overwhelming. Consider working with a provider of ERP implementation services from the start. They will evaluate the needs of your business, align those with the capability of your system, and then execute the implementation carefully and systematically. You incur an extra cost but sidestep major pitfalls as a result. Prepare Your Team for Change – The reason you’re implementing an ERP system is because you want to fundamentally change the way you do things. Once the system is in place, everyone on your team is able to operate more collaboratively, transparently, and innovatively. It’s important to educate your team in advance about the capabilities of the ERP, your motives for implementing it, and your expectations for how it will be used. This kind of open, direct approach helps to get everyone feeling excited rather than resistant about the change. Get Your Data Ready – Quality ERP systems will flexibly and fluidly adapt to many different kind of data. It’s important to understand, however, that their adaptability is not universal, and that not all your data will be appropriate to enter into ERP databases. Start by making sure that any data you want to integrate is stored in acceptable file formats. Then scour that data for items you may want to exclude like information about old, inactive customers or information that doesn’t need to be shared company wide. Plan for Change – ERP implementations, like most major IT initiatives, rarely go exactly as planned. Before you actually start implementing the system, identify your major needs and primary end goals. Once the implementation goes into effect, you can amend or revise the process as necessary without compromising the core purpose for the project. Test Early, Often and Extensively – Given the depth and breadth of an ERP system, it’s easy for problems both major and minor to hide out of plain sight. Throughout every step in the implementation process, invest the time, labor, and resources necessary to test thoroughly for problems with the system, data, or user engagement strategy. The earlier you resolve them the better. Prioritize Training – The best way to train your team on how to use the new ERP system is hands on, in person. Since this is a resource you want your staff to use extensively on a daily basis, don’t try to rush or abridge the training process. Ideally, they will feel completely comfortable using the system to the fullest starting on day one. Make sure your IT team is also trained in how to monitor, maintain, and troubleshoot the system. Ensure Ongoing Support – The process doesn’t end after the system goes live. There will almost inevitably be problems that you overlooked, and keeping the system optimized and up to date will now become a priority. It helps to survey your employees to identify possible sources of friction and to identify areas for improvement. You may also need to add staff or resources to your in-house tech team to handle the additional demands for support. Finally, be sure to track the impact your system has on your business. Look at productivity and efficiency metrics to get a clear understanding of your organization pre and post ERP. If you’ve handled the implementation effectively, your company is in an ideal position to overtake the competition, win new customers, and bolster your brand.